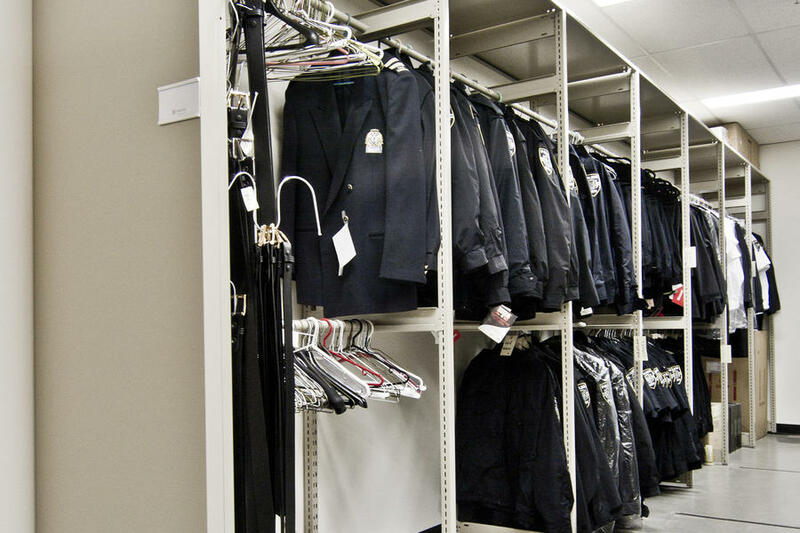 Law enforcement, police and sheriff's departments storage solutions | Montel Inc.
From the small sheriff's department to the largest law enforcement building, our range of storage solutions are the sturdiest, securest and most flexible available. 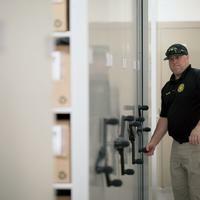 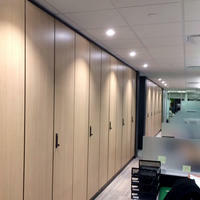 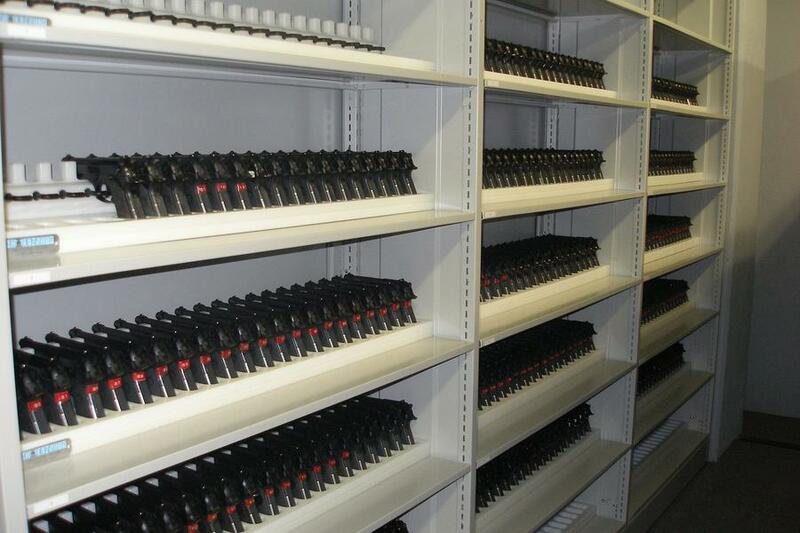 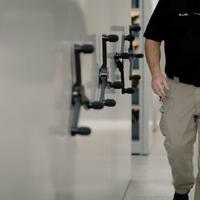 Law enforcement departments have unique challenges for specialized storage, which can include limited storage space and high security requirements. 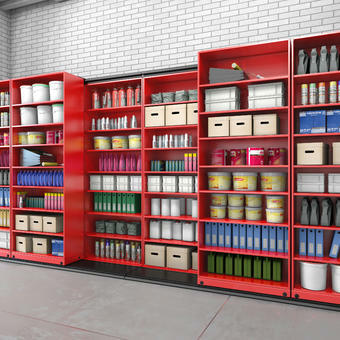 Our mobile and static solutions meet those needs by effectively storing and protecting multiple types and sizes of items so you can serve and protect with total peace of mind. 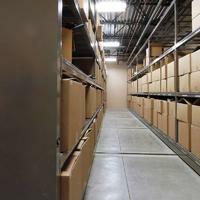 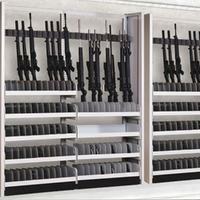 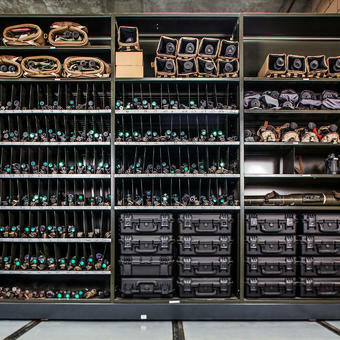 Our many solutions are designed to provide organized, versatile and space-efficient practical storage of all supplies, material and equipment involved in your operations, such as evidence, gear, guns and files. 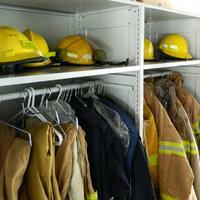 Better storage leads to better work for the communities you serve. 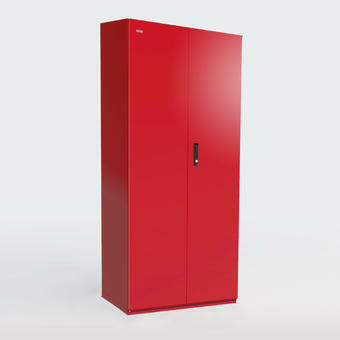 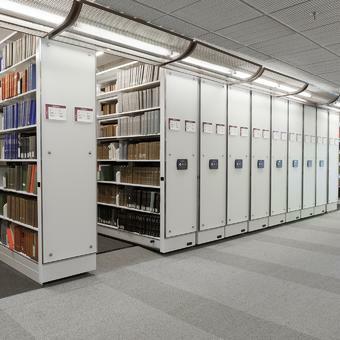 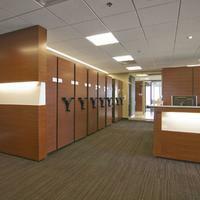 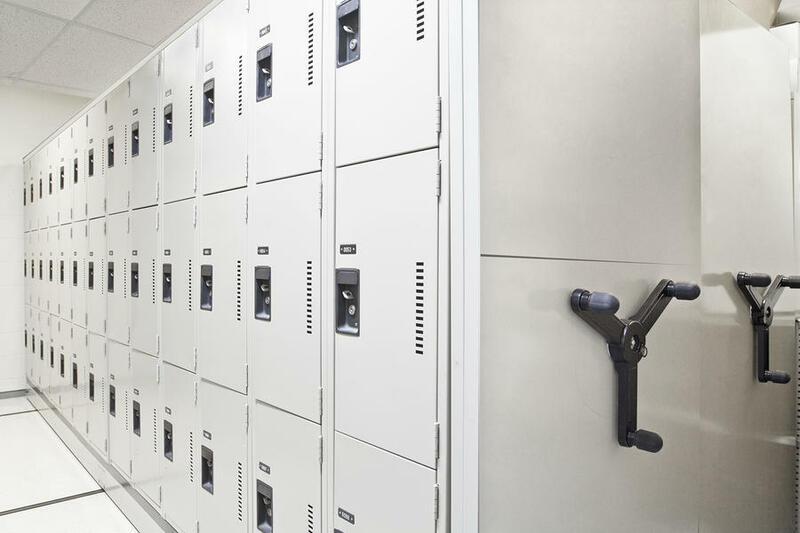 Whether it be state-of-the-art high-density mobile systems, static systems, lockers or cabinets, we can provide you industry-leading storage solutions designed and built in a manner that improves your law enforcement or police station. 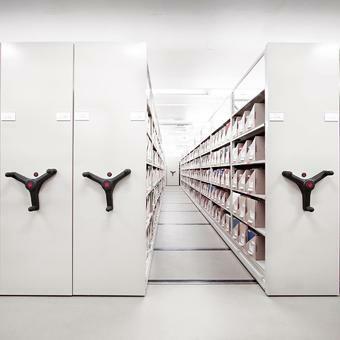 Specialized solutions tailored to your needs, combining convenience and security for the management and preservation of evidence, material and equipment, such as our Digital Evidence Locker equipped with a system of fingerprint access.